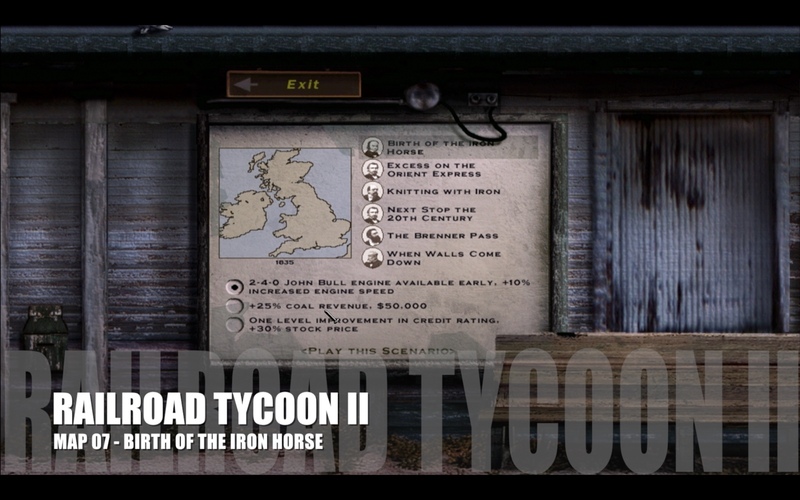 Playing through map seven of the Railroad Tycoon II campaign, on macOS, using the PlayOnMac Windows emulator. This map simulates the building of some of the earliest railway lines in the UK. Start from London, and build main arterial routes to the bigger settlements – this map is nice and easy, and you shouldn’t go too far wrong.